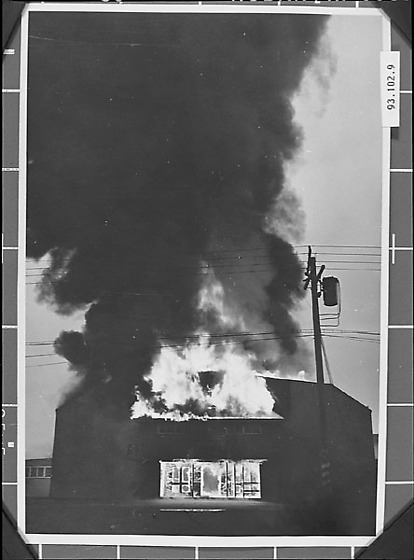 Photo of the fire of the social hall at Tule Lake concentration camp on New Years eve, December 31, 1945, Newell, California. Flames and black smoke billow from top story. The fire of the social hall at Tule Lake on New Year's Eve 1945.